If you would like to apply to take part in ENNE 2019 please ensure you have visited the ENNE homepage and then simply download the application form and return to the ENNE Co-ordinator, (to be confirmed) by 29 November 2018. In April 2016 six of our adult and child nursing students went to Barcelona to participate in the European Network of Nursing in Higher Education to understand more about European health care systems and nursing programmes, and to promote student exchange. The group discussions were fascinating. Together we gained an understanding of the similarities but more surprisingly the differences between nursing and education in Europe. Considering that once a qualified nurse in Europe you can work in any of the countries the training that we receive is very different. 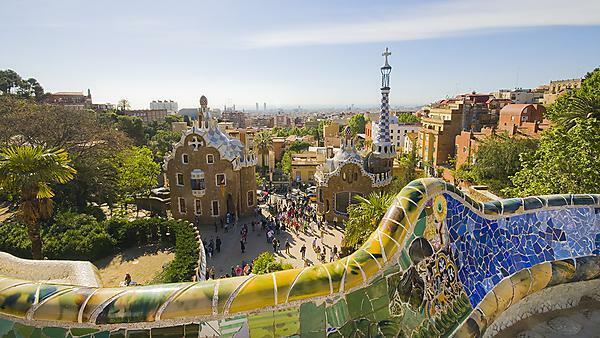 We were allocated free time which was sometimes our own and sometimes filled with activities such as a Barcelona city tour, water sports and visiting Park Guell. Overall the ENNE Intensive Programme (IP) in my opinion was the ideal crash course in gaining an understanding of how nursing and nursing education varies so considerably just within Europe alone. Many of the countries consider England to be much more advanced in certain areas of our practice and many have already planned to complete placements or secure employment somewhere within the UK. I would definitely encourage future students to take part in any future ENNE IPs as they have a lot to offer your own practice as well as what we can share with the future European nurses. For me personally this has been an excellent opportunity to develop my knowledge of adult nursing in Europe. It has enabled me to reflect objectively about my own values and the values and culture of the NHS and healthcare systems across Europe. I have learnt about the differences and parallels of UK and European cultures and to appreciate the diversity within nurse education. This has been a unique opportunity to develop communication and language skills and understand cultural differences particularly within nursing theory and practice. It has allowed me to collaborate and network and the chance for shared learning with both students and academics from each country representing at ENNE. It has helped me to develop a global perspective with my knowledge and skills set and I have developed a greater understanding of how nursing and healthcare systems in other countries has enhanced my professional development ready to become an RN. I have been able to share my learning with others and develop professional relationships. "ENNE gave me the opportunity to meet other students from across Europe and learn about our cultural similarities and differences. I would recommend the intensive programme to future students as I feel I learnt a great deal that will influence my practice as a nurse at home." I thoroughly enjoyed my experience on the ENNE Intensive Programme (IP) and believe I gained a lot from attending. I learnt a lot about how our European colleagues learnt and worked many of whom had aspirations to work in the UK. And although there were differences in our teaching styles it was clear we had a lot in common. I would recommend future students attend this programme. I hope the University of Plymouth will continue to support attendance on this programme because I believe this will help enhance the nursing programme offered at the University and I will also be sharing my experience and knowledge gained with those students who didn’t attend. During the ENNE Intensive Programme (IP) in Barcelona I gained insight into how healthcare is provided in other countries across Europe, as well as learning about how the working conditions are so much different to ours in the UK. I also learnt about how different the nursing degree is abroad and how lucky we are to gain so much knowledge from theory and practice. I have gained a new perspective on how fortunate we are in the UK to have such a solid framework to support us both as student and registered nurses. I found my group were very forthcoming and enjoyed learning about how we do practice in the UK, with a lot of the questions being aimed at myself and the students from Scotland. I enjoyed discussing how we train and work in the UK as in some aspects we are better off and it was nice to show how lucky we are. Most of the group’s members got involved with the discussions and voiced opinions if they did not agree which was good as it often resulted in good debate.
" I enjoyed the tasks we were set, I felt it was a good way to get everybody to participate and discuss their roles in their county. I feel the programme was a valued experience and it will help me in my future career when dealing with patients and health professionals from different countries’ setting." Within my group I gained knowledge of different healthcare around Europe. I was surprised how different each European country was. Some of the things that surprised me were the 24 hour shifts that take place in Estonia, that students could administer drugs and take blood in every country but the UK. How varied the price of tuition fee was in each country and in England we pay the most. How restraints are used on patients in other countries. How doctors are still seen as hierarchy and most countries would not feel comfortable confronting a doctor of bad practice. As a paediatric nursing student I was surprised that the paediatric nurse was not seen as a specialised area and they seem to still be seen as small adults. I learnt how supported I was as a nurse in my country and how many procedures we have in place to ensure the patient is centre of the care. I gained confidence that the knowledge and skills I have as a children nurse can be used on an adult patient. My group was very respectful of each other's cultures and roles. We worked well as a team and everybody contributed. I was often looked at to check if peoples English was correct and sometimes found it hard not to lead the group as I could help everyone understand what was being said. I had to slow my speech down to make myself clearly understood. ‘I enjoyed the tasks we were set, I felt it was a good way to get everybody to participate and discuss their roles in their county. I feel the programme was a valued experience and it will help me in my future career when dealing with patients and health professionals from different countries’. Before arriving in Barcelona, I was unsure of what to expect. Right in the middle of our busiest time of our final year I felt under-prepared yet I was not sure how to do this any better! As a group from England we didn’t really know each other yet we developed a sense of comradery quickly as we all shared similar aims from the programme. Overall taking part in ENNE opened my eyes to wider nursing perspectives and made me even more grateful for the opportunities I have had during my nurse education. I believe I am more aware of the importance of a diverse and rich approach to nursing especially when considering culture and international aspects. I would definitely consider working internationally in the future in order to further enhance my nursing abilities. It was hard being a mature student and I did struggle to be in the middle of the student group 24/7 for the entire week yet I believe even this more difficult aspect has taught me much about myself and how much I value my family and own support networks.